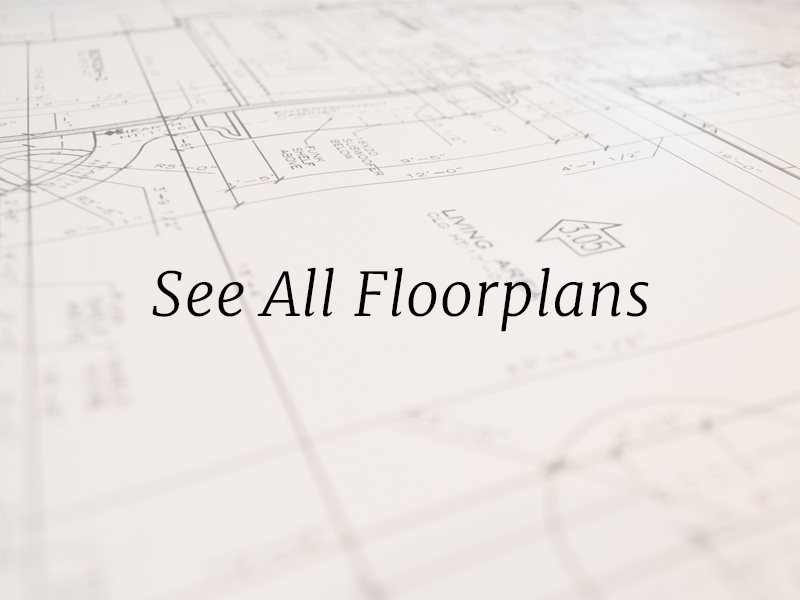 Homes in the architecturally planned Les Chateaux neighborhood include the perfect marriage of the latest in energy efficient technologies and old world charm. 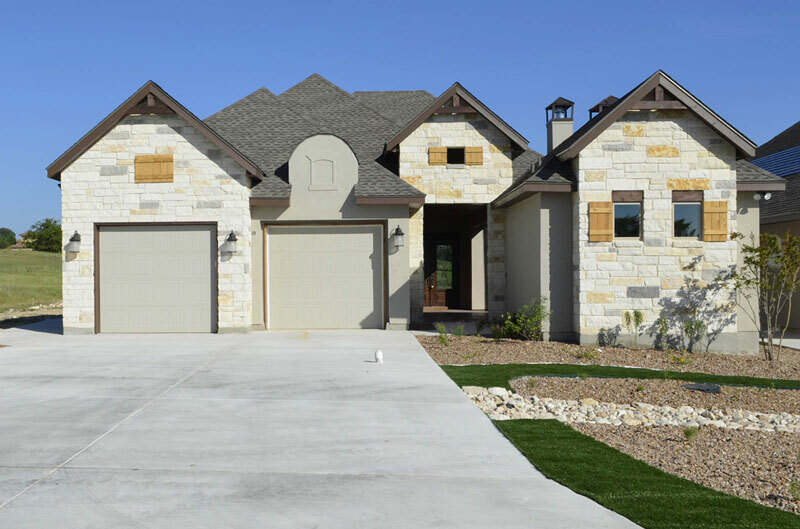 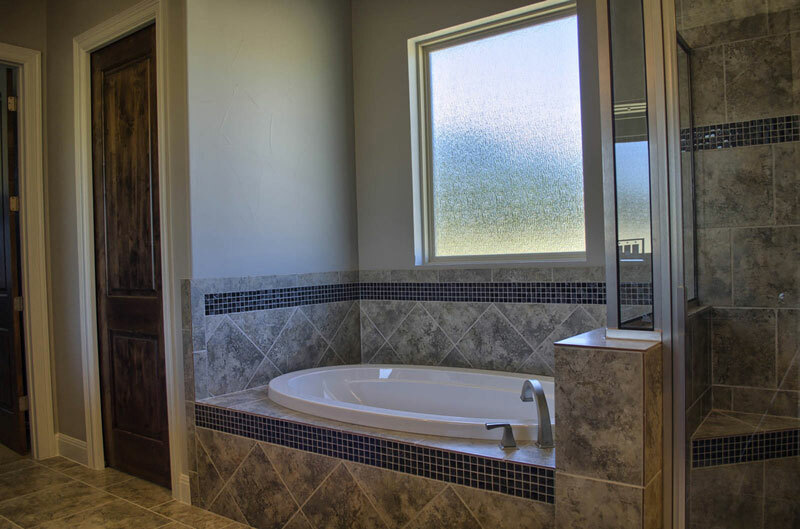 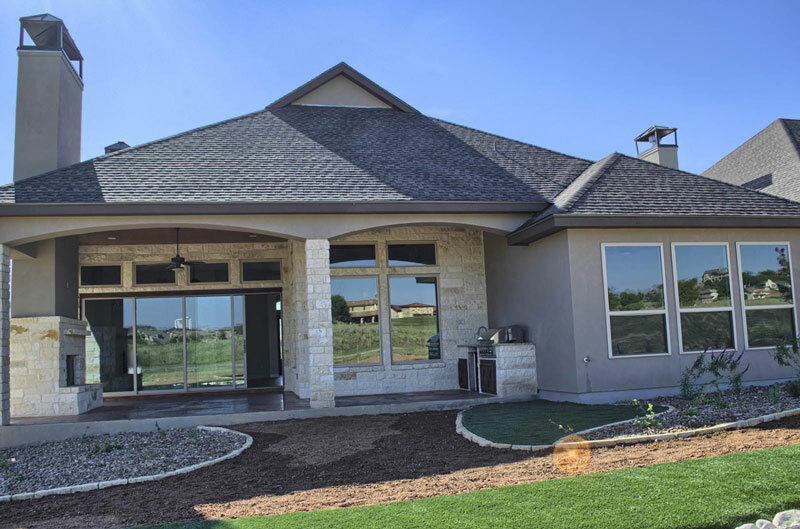 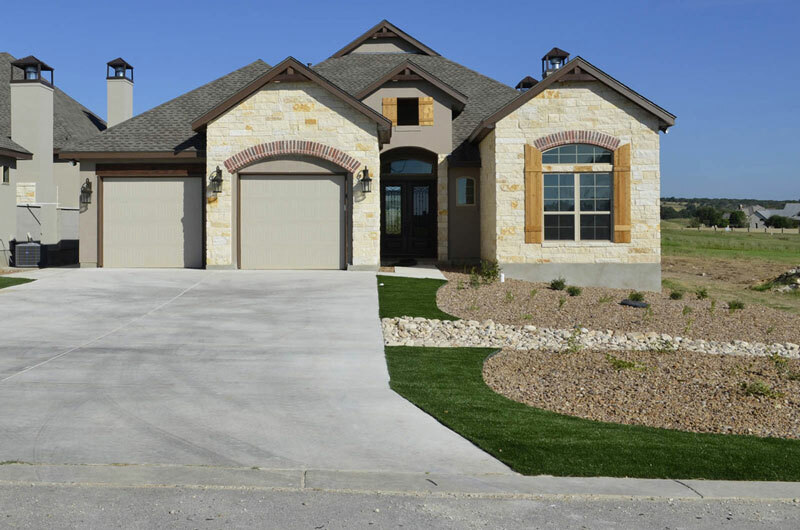 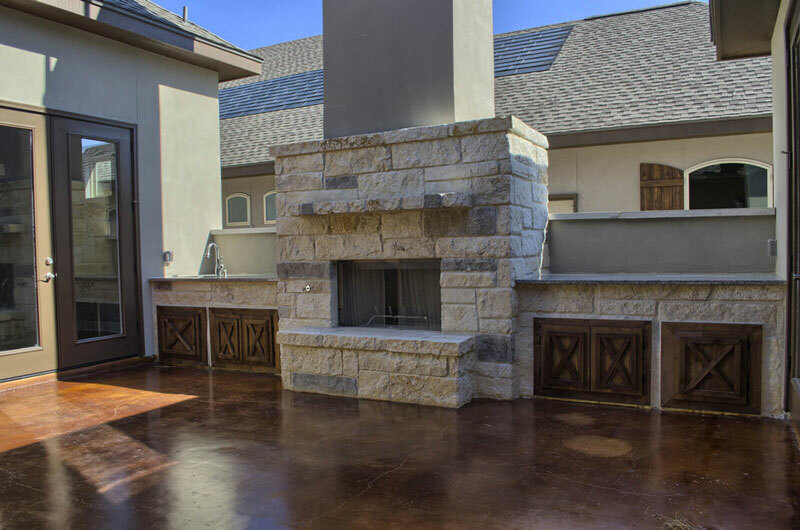 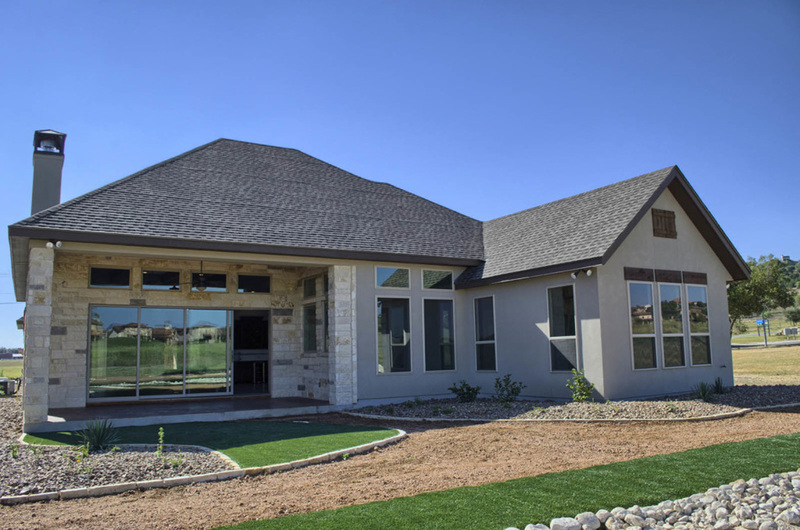 These French Country styled homes are built with such energy saving features as solar shingles, tankless water heaters, spray foam insulation in the attic, and xeriscaped yards with use of native plants and artificial turf for limited water requirements. 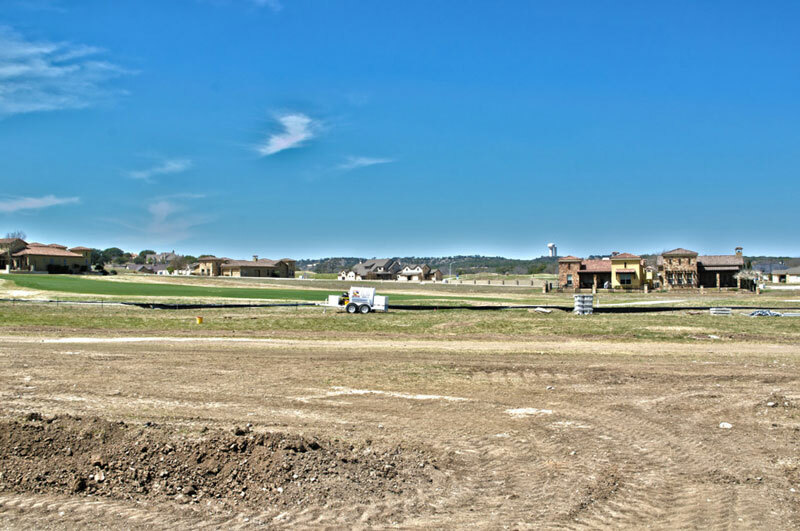 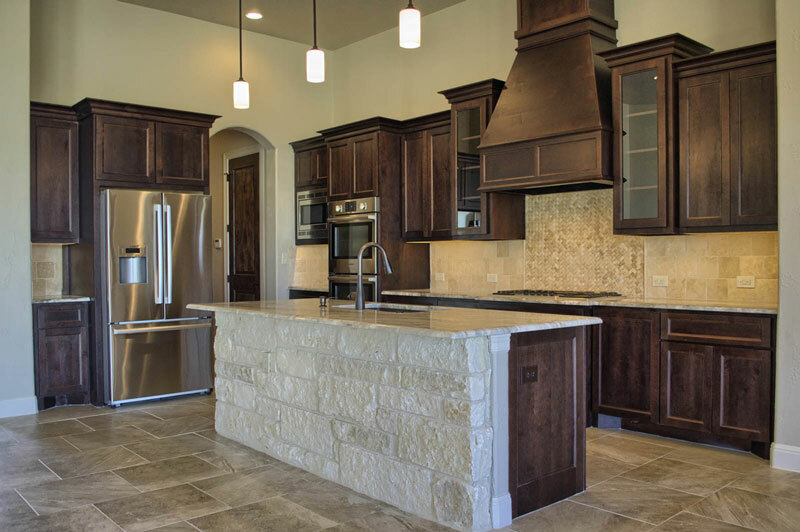 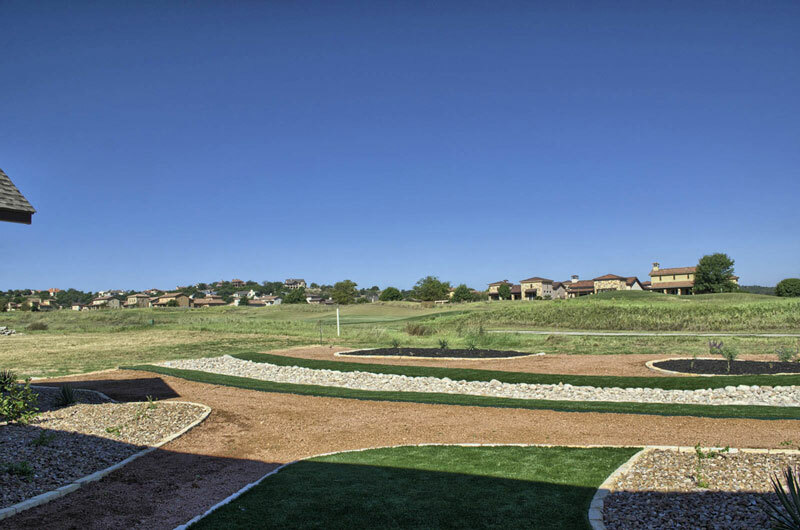 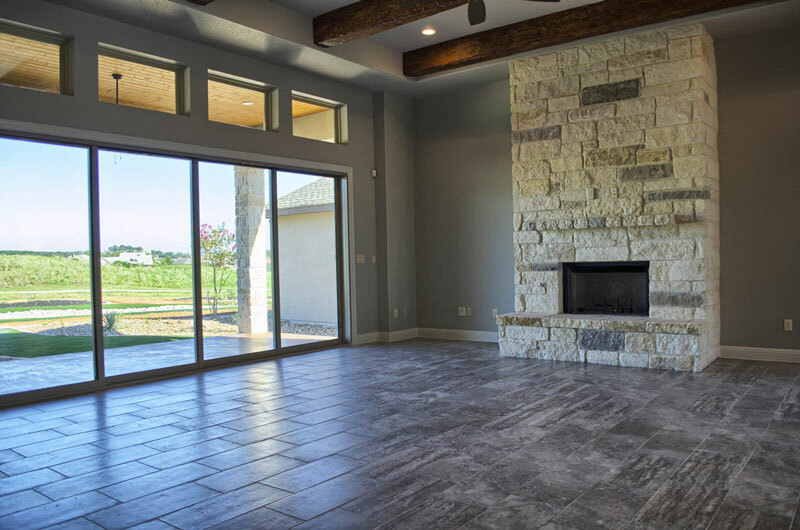 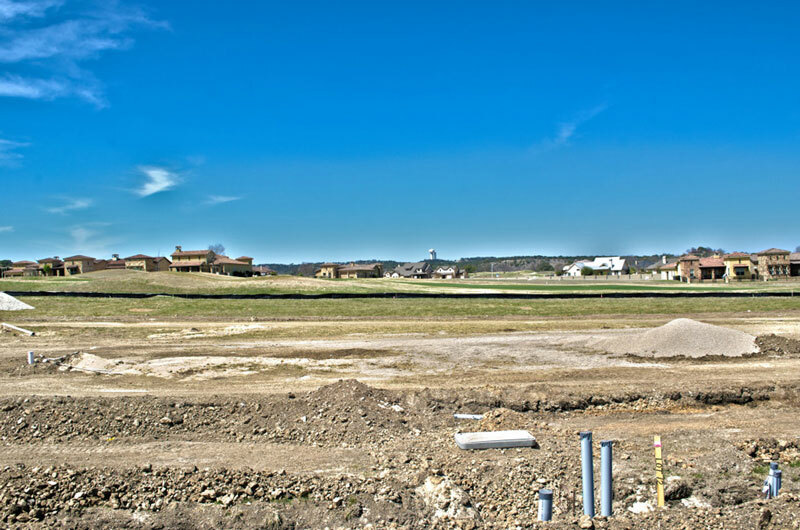 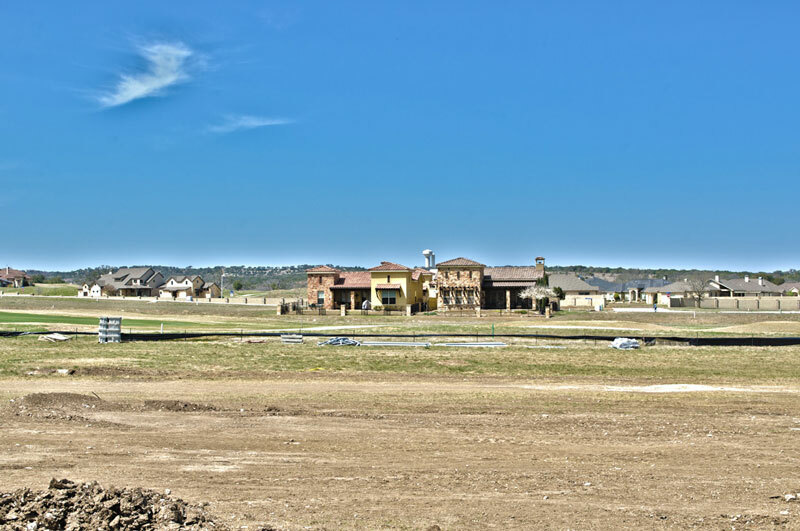 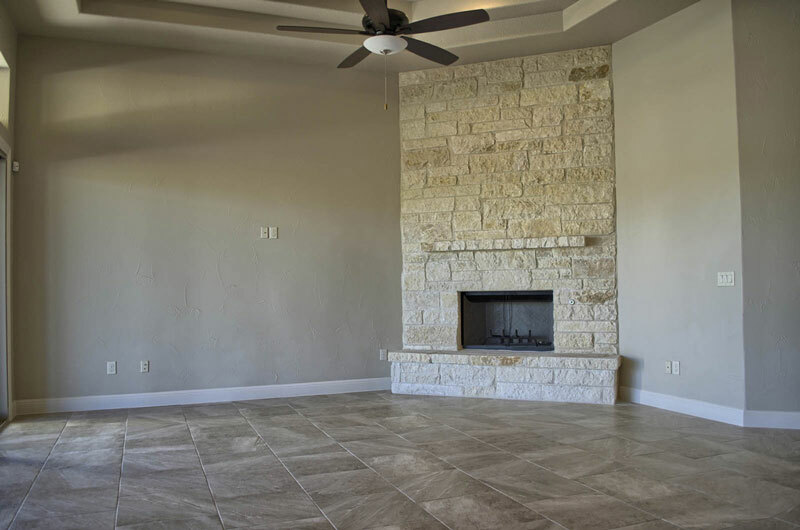 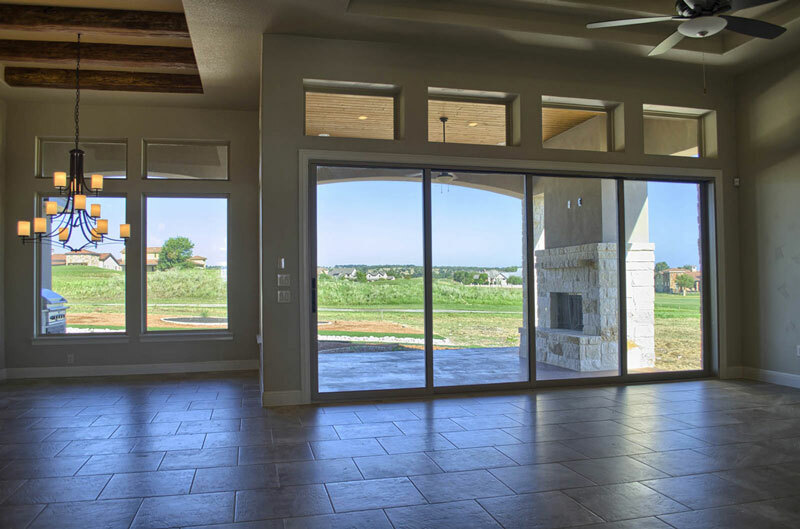 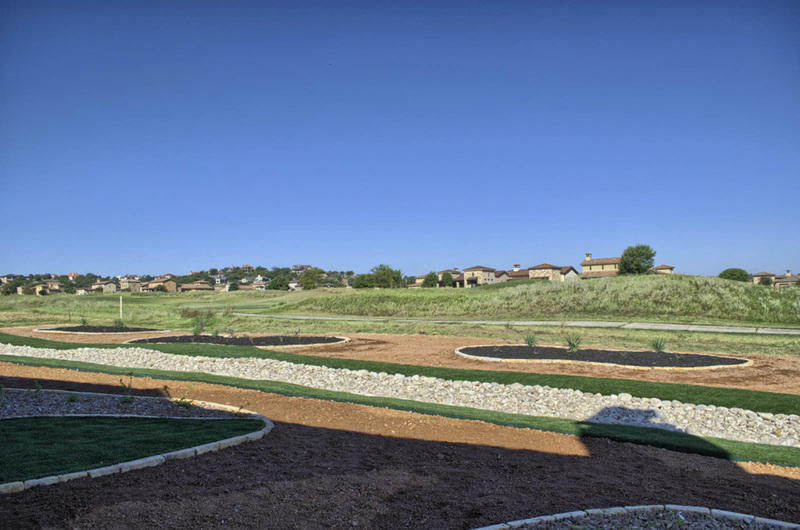 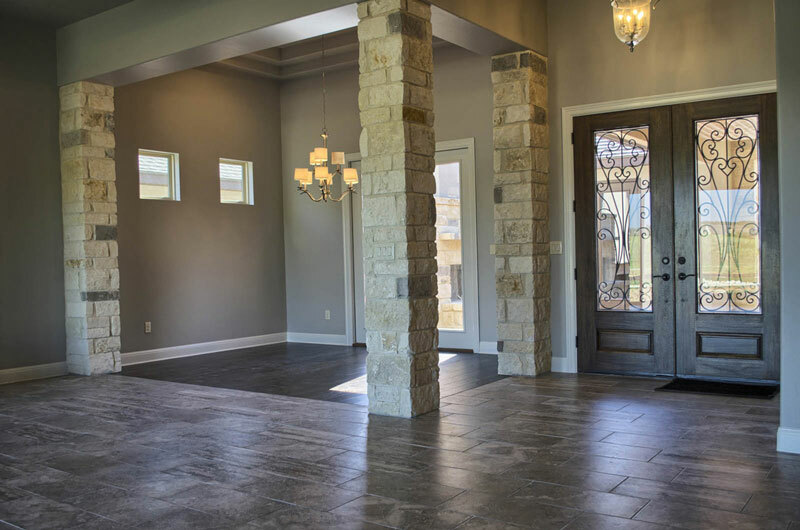 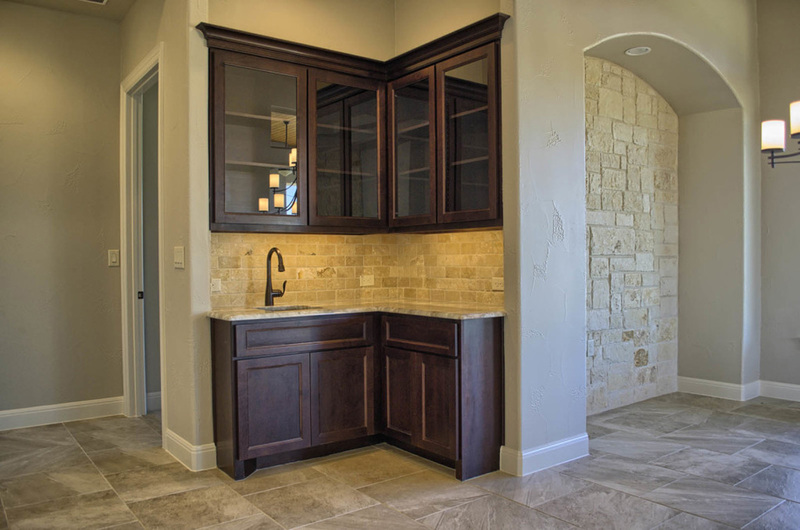 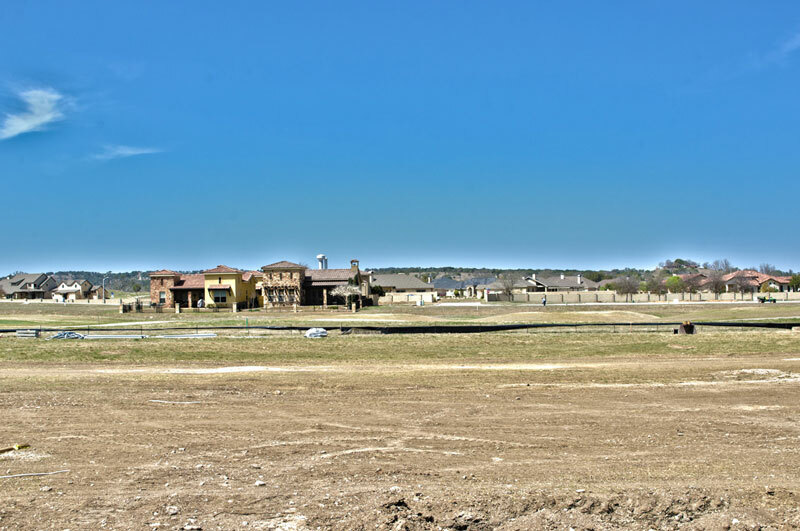 There are only 15 homesites in Les Chateaux, all with large lots that feature unobstructed views of hole 7 of the Valley course and surrounding Hill Country. 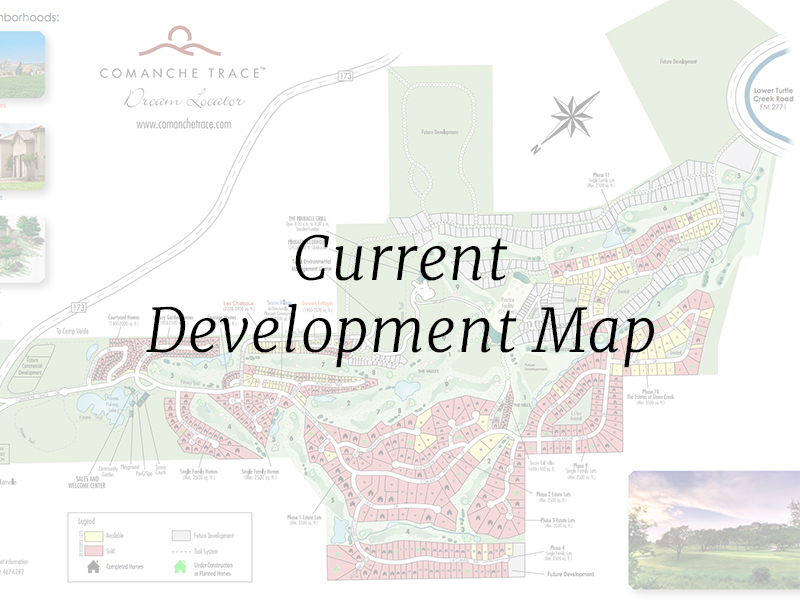 Availability is limited in this one-of-a-kind neighborhood, and the remaining homesites will not last long. 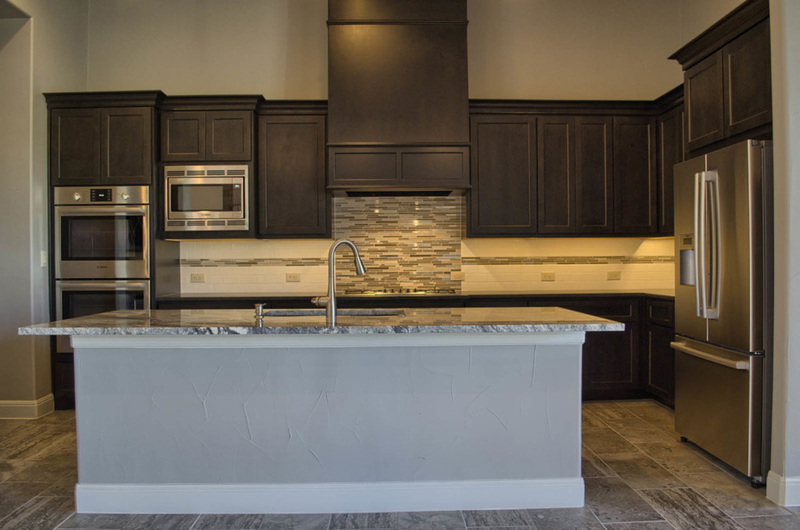 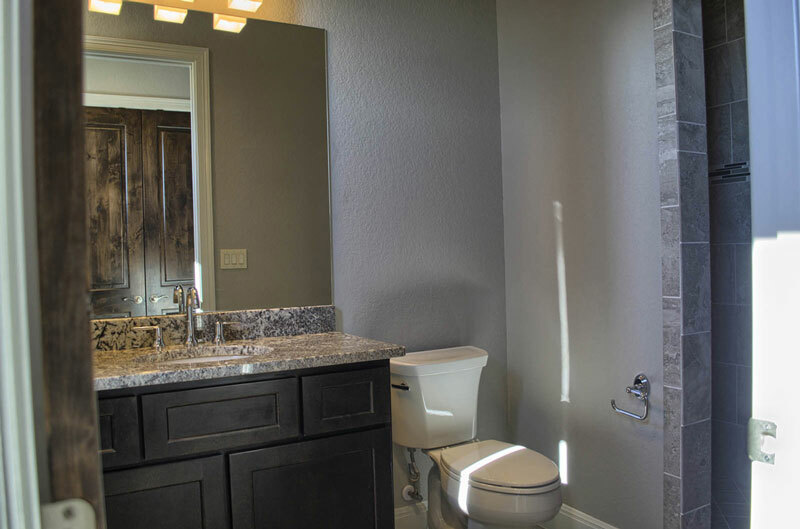 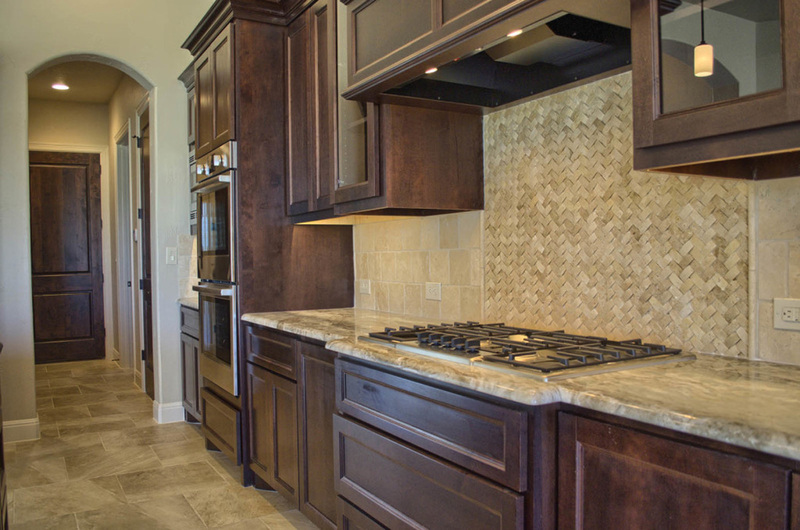 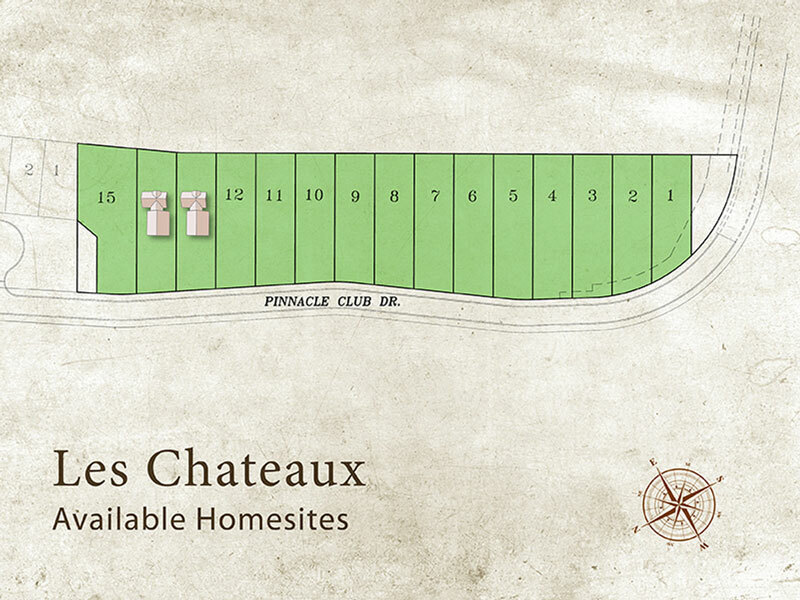 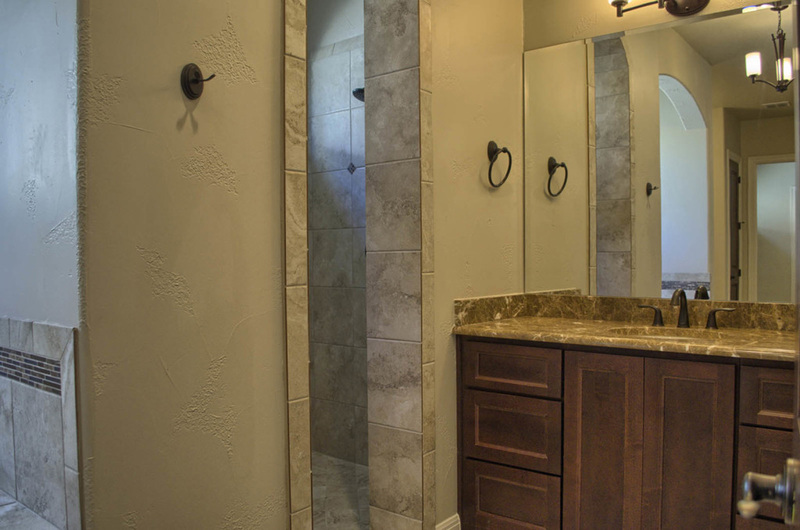 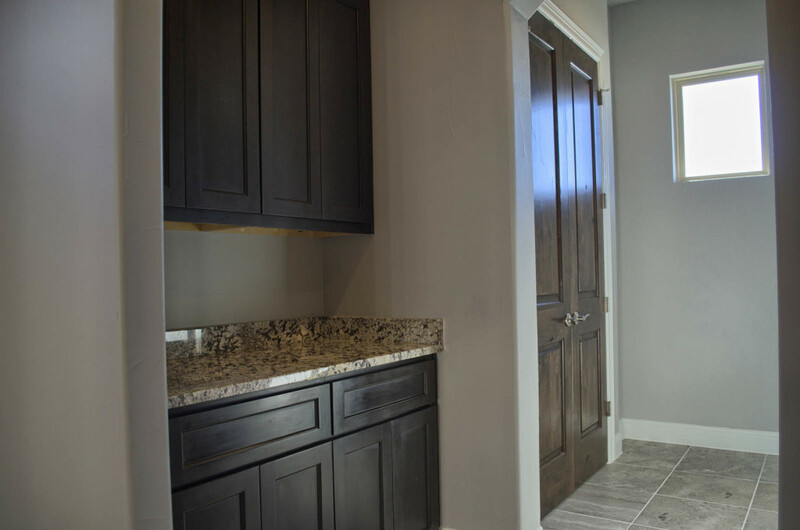 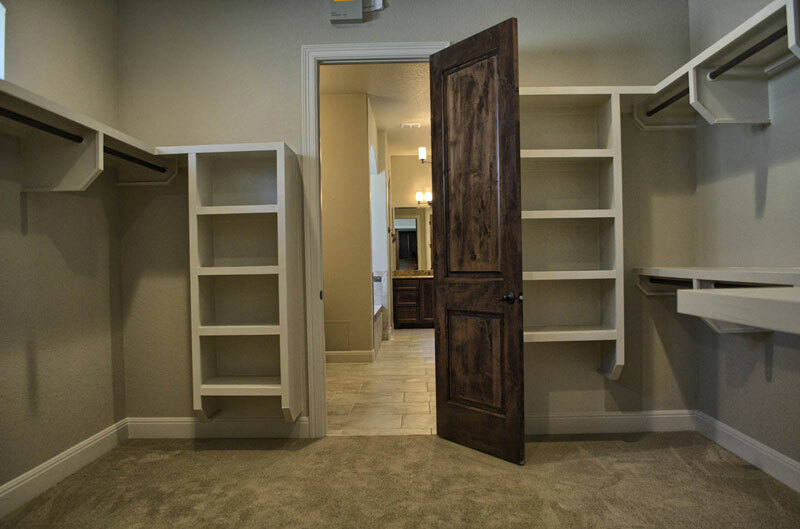 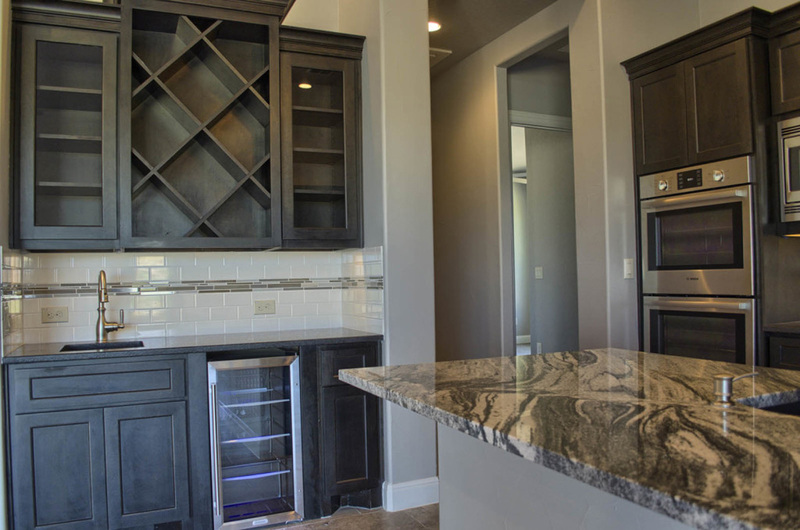 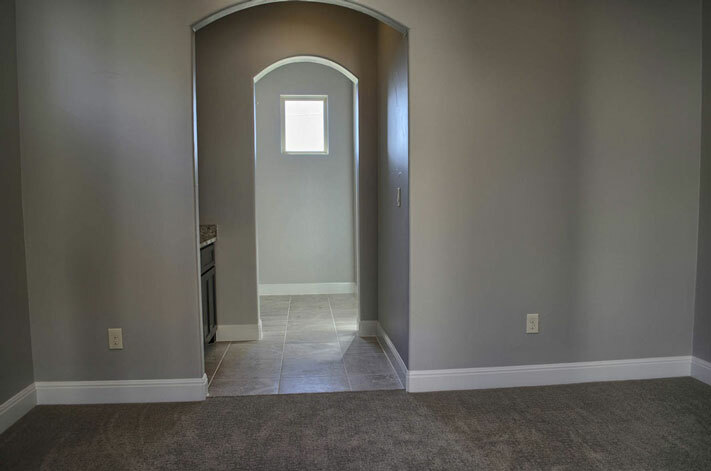 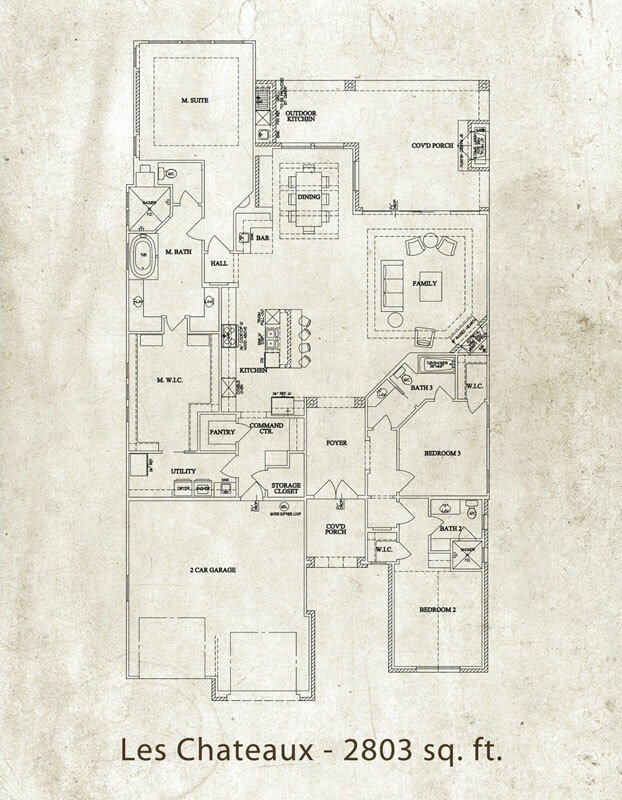 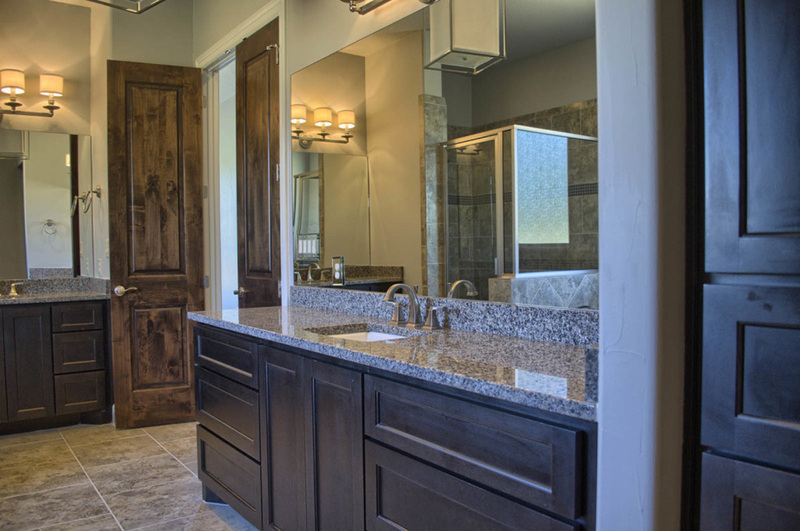 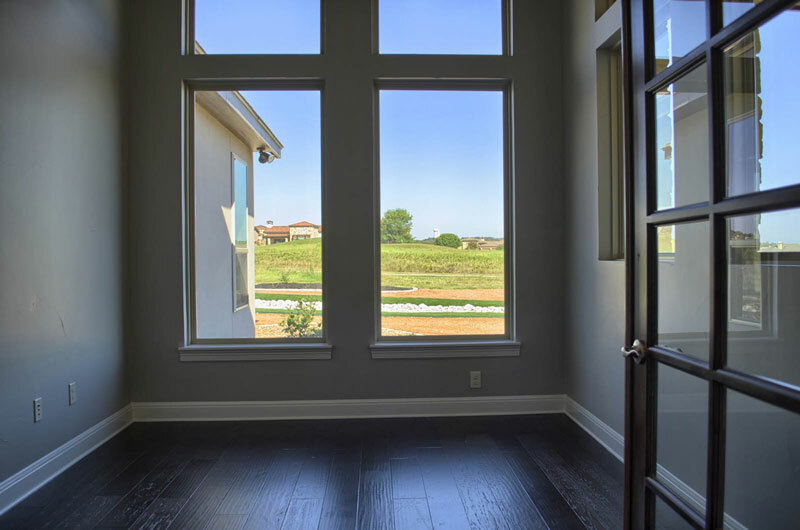 Ask our sales staff about the floorplans available in Les Chateaux before all homesites are gone. 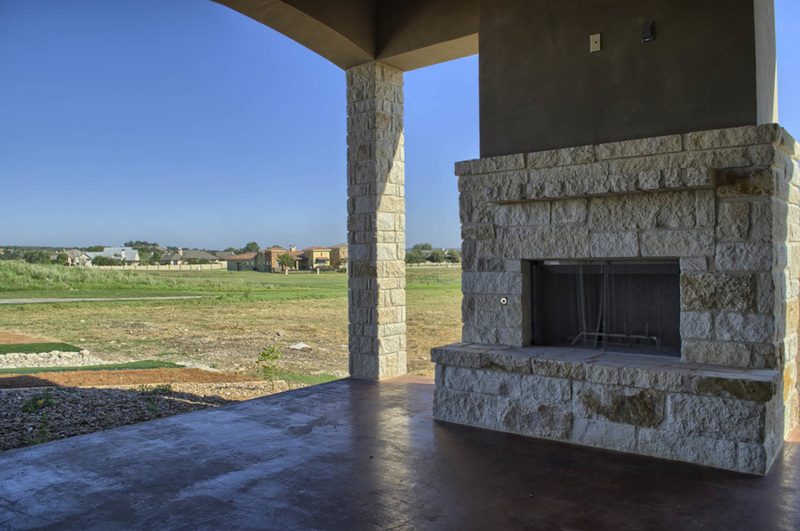 Anderson Jenkins is the exclusive builder for the Les Chateaux Neighborhood. Home Energy Rating System (HERS) Score of 54 – What is a HERS score? 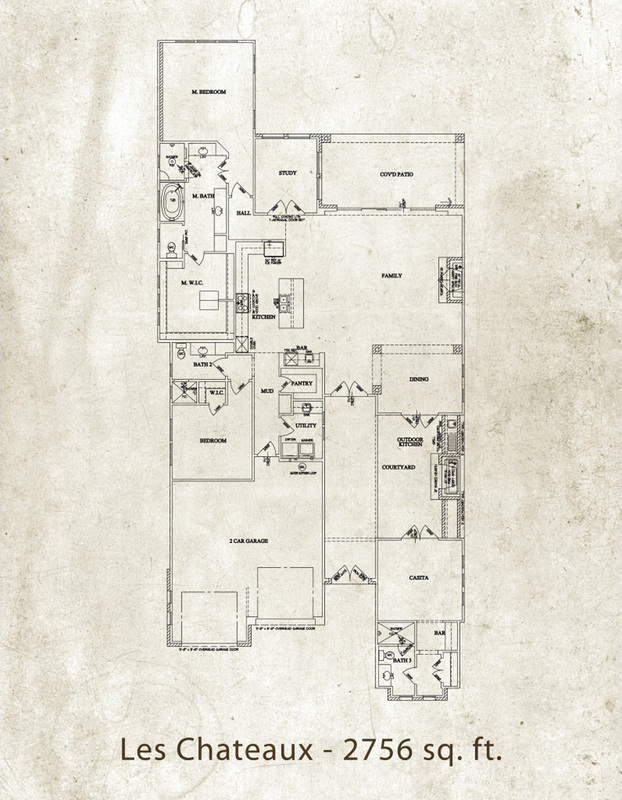 This information is deemed reliable, but not guaranteed, and is subject to change without notice.